Dogs are great. In fact, if your dog is like your best friend who gets to share in most anything you do, nothing beats a weekend of camping together to strengthen that bond. Your four-legged friend will have at least as much fun as you hanging out around the campsite, going for hikes, riding in the boat while you fish and sleeping with you in a tent. 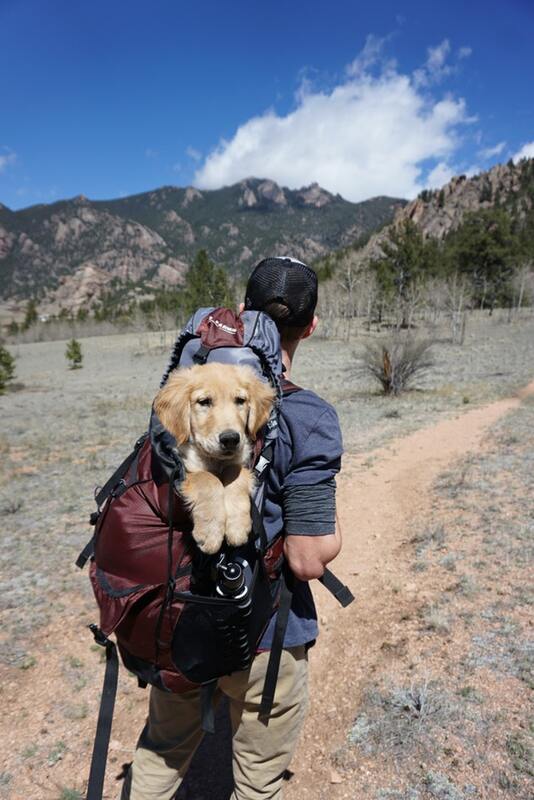 It’s just about every dog’s dream to have his (or her) owner to themselves in the great outdoors. But there are a few things you should take care of first to ensure that the camping weekend is so much fun for both of you that you’ll be anxious to do it again. Camping should be a fun experience for both of you, and it’s easy to do that if you make a few plans before you pack up the car or camper. Here are a few of our tips on camping with your best buddy. Okay, the chances of NOT finding a pet-friendly campsite are about as good as you getting hit by lightning while fishing in a thunderstorm. That is to say, you may not have much of a problem with this, but it’s always a good thing to double check that wherever you intend to stake your tent that dogs are permitted. If you opt for a private campground – and why would you? – you may have to leave Rosco at home. That, in itself, would not only defeat the whole purpose of camping with your dog, it just wouldn’t fly in our household. But ask the question anyway then proceed. Sure, we don’t question how well you take care of your pooch. There’s no doubt that if he (or she) rates front seat privileges for those quick trips to the grocery (or liquor) store, the chances are that you already pay attention to the annual or regular vet visit schedule that went into effect the moment you became a dog owner. Well, if you are going to take that hairy beast camping, it won’t hurt to have a quick pre-trip check-up. You know, to make sure everything is working on the inside and that nothing is ticking like a time bomb set to go off once the camp is set up. We aren’t trying to spook you here at all. But if your camping trip takes you over a Border or ends up to be an extended stay somewhere, you will want to have all of your best friend’s documentation with you. 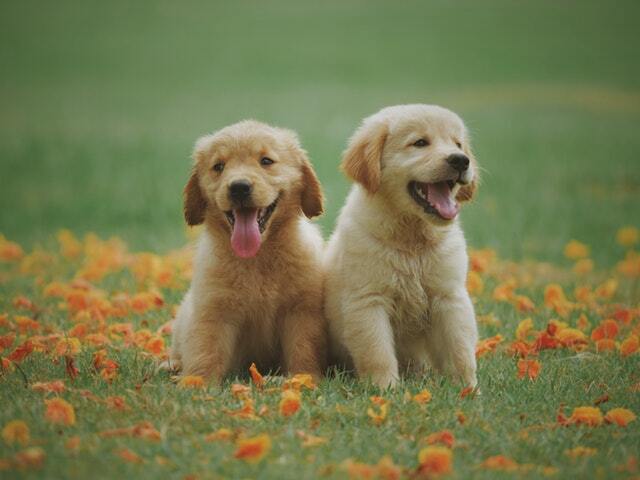 Plus – and we would never wish this on you or any dog owner – should something happen to your pooch, or he (she) gets spooked and heads for the hills or possibly gets picked up when wandering around the campsite you will want to be able to prove that the dog in question is in actual fact part of your family and not some random stray. Again, we would never want anything to happen to your best friend when the both of you are out on your special bonding camping trip, but cuts and sprains and things do seem to happen when you can’t plan them. This is why you should always have a pet first aid kit along for the ride. Ask your vet or the very nice lady at the pet food store to offer some suggestions on what you may want to pack up for this purpose. You’ll need some puppy-strength medications and stuff as the humankind will be far too strong and contain things that won’t agree with your dog. It is not our intention to tell you how to enjoy your camping weekend with your dog. We only want to give you some ideas on how to enhance that experience. However, as friendly as your dog may be, some other people in the campground may have issues with dogs. That’s why it’s always a good idea to pack a leash, maybe even a tether and a stake. That way, if you need to restrict the territory Ranger gets to visit around the campsite and to keep him (or her) out of trouble, you’ll have it covered. 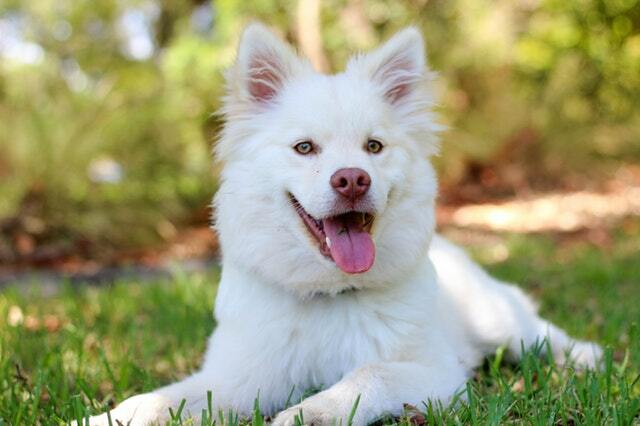 Chances are, everyone will love your pooch, but just in case. You can’t expect Princess to be as excited about a fish fry as you are. This is why you have to be prepared and carry along not just the same dog food you feed at home, but you’ll want to bring along food dishes for your dog to use as well as a container of water. You don’t want to mess with whatever could be swimming around in that puddle over there or in the ruts in the grass path to the outhouse way over there. If you have enough food and water on hand, you’ll also curb the need for your four-legged friend to wander two campsites over mooching barbecue steak. Hey, we get it. Camping in the great outdoors is a blast. Its wide open horizons with vistas yet to be visited and paths yet to follow. For a dog, the great outdoors offers not just confusing and hard to comprehend a number of new smells to sniff, but it also presents a lot of new places to poop. If you happen to be in a campground where your dog is welcome and has been treated like royalty by all he (or she) encounters, the last thing you want to do is wear out that welcome by letting Sarge poop anywhere. So, bring some poop bags, a small shovel or scoop and clean up. Yeah, that title sounds a bit on the creepy side but we left it to get your attention. Before you make your camping arrangements, you need to figure out where Sunshine will be sleeping. So, if it turns out that your dog has a house in your backyard and loves to sleep out there, you may get away with hauling a crate for him (or her) to call home over the camping weekend. However, if your dog usually curls up with you on the couch or bed, it means you’ll be sharing space in your sleeping bag and tent. It’s all good, as long as you’ve planned for it either way. Lucky for you, there are dog-style backpacks on the market. One of the cool things about them is that they come with all kinds of pockets, compartments, and pouches that you can use to stuff full of the things your pooch will need to have along with them. Plus, they are also available in bright colors, and some are floatable while others have handles on them so you can take Buddy hiking, and if he (or she) needs a hand getting over the terrain, you can grab the handle and lift. Using your dog to pack stuff in, out and around the campsite is not only smart, but it also saves your back. Is It Really A Good Idea To Have Your Dog Camping With You? We say, yes! Especially if you happen to forgo the formal campsite and venture off to a private spot that is not anywhere on the map of developed campsites. Wilderness camping rocks and your dog will prove to be one of the most valuable assets on such a trip. Not only will he (or she) be able to give you advanced warning of any potential danger, a dog can sense, hear and smell things you could only imagine in your wildest dreams. Don’t be too surprised if Jango stirs in the night and scares off some wildlife that was checking out your makeshift campsite. Like we said in the beginning, if you are already good friends with your dog, taking it out for a camping trip is a great way to build that friendship. You can teach him (or her) a new trick, pack a ball or a flying disc to toss and fetch for some exercise or just lay around enjoying nature. 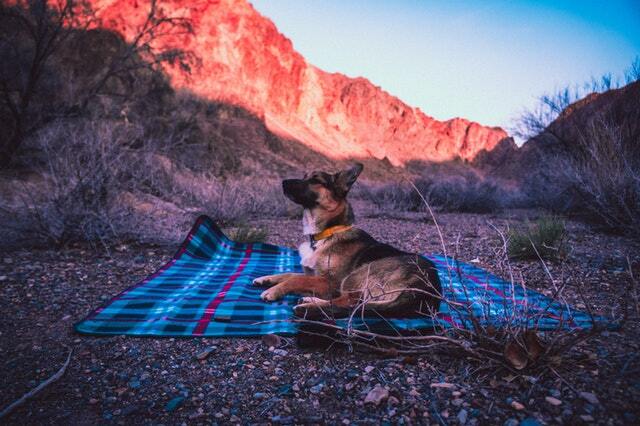 Of course, if your pooch is anything like ours, a camping trip means hours of endless exploring and adventures. Just be sure to have ID on a collar just in case that exploration trip extends farther and longer than you first anticipated. Have a great time and to leave your campsite clean and ready for someone else to enjoy.